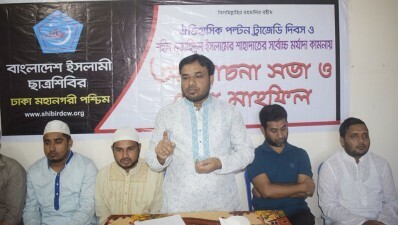 Yasin Arafat, the central president of Bangladesh Islami Chhatra Shibir, said that Bangladesh is facing the threats of natural calamity, which has already become a terrible problem. It is only possible to prevent this disaster by planting a lot of trees. To avoid harming the environment and making it green and beautiful, more trees should be planted. This will also benefit the country financially as well as protect the environment. There is no alternative to planting trees to protect the natural and environmental balance. Yasin Arafat, the central president of Bangladesh Islami Chhatra Shibir, said that there is a great lack of able and moral leadership in Bangladesh. And this lack is not allowing the country to reach its desired goal. So the meritorious must come forward to build a self-sufficient country by forming moral career choices. Bangladesh Islami Chhatra Shibir Secretary General Mobarak Hossain said that on October 28, 2006, the Awami League gave birth to vicious barbarity to eradicate the Islamic movement from the land of Bengal. They killed Jamaat-Shibir leaders and activists unjustly, but they did not succeed. The martyrs, through their martyrdom, foiled all their conspiracies. So the martyrs are among the topmost towers of our inspiration. The blood of the martyrs of 28th October will not go in vain. Yasin Arafat, the Central President of Bangladesh Islami Chhatra Shibir said that the youth in the country have fallen victim to fearsome moral degradation, due to which the nation has been witnessing gruesome incidents one after the other. The main reason behind this is the spread of immorality. The education system needs to be reformed to include moral education in preventing the fearsome degeneration of youth. The Central President of Bangladesh Islami Chhatrashibir, said that erosion of social values has been happening at a geometric rate, and the main reasons behind this are aggression of foreign cultural elements and the spread of offensive and indecent publications. There is no alternative to creative publications to stop the encroachment and flooding of foreign culture in Bangladesh. Yasin Arafat, the central president of Bangladesh Islami Chhatra Shibir, said that although Eid was supposed to be a happy occasion for everyone, it was not happy for everyone because of bad governance by the government. Eid joy has faded in many families due to arrest and torture by government. The Central President of Bangladesh Islami Chhatra Shibir said, the helpless cold-affected people are part of our society. There is no scope to ignore them. The government will have to fulfill the main responsibility of helping the helpless affected. Along with this, the wealthy people of the society must also stand beside them. It is important for the government and the people of the society to come forward to the help of the cold people by responding to the cold related humanitarian crisis. 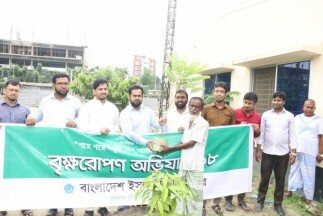 Yasin Arafat, the Central President of Bangladesh Islami Chhatra Shibir said that the month of Ramadan was not simply for a month for praying, but that it is also a strong tool for changing the society. 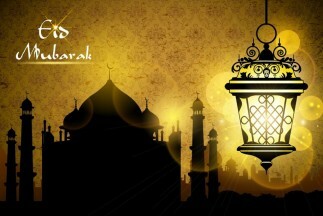 The month of Ramadan wakes in us the spirit of caring for one another, which strengthens social bonds. Sacrifice is the main lesson of Ramadan. 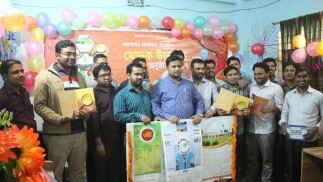 Yasin Arafat, the Central President of Bangladesh Islami Chhatra Shibir, said that despite the large amount of depressing news available today, the excellent results achieved by the meritorious students is a sign of hope for the nation. The full nation today is happy. The meritorious students need to grow up to become honest, capable and patriotic citizens to serve the nation. Eid not only gives us happiness, but also gives us an occasion to forget our divisions, jealousy and hatred, providing the opportunity to show respect to one another and be united. Eid-ul-Adha enlivens within men the spirit and ideology of sacrifice.